The Hollywood icon Arnold Schwarzenegger finally broke his silence on his daughter Katherine’s engagement to Chris Pratt. Did Arnie give his approval? Chris Pratt and Katherine Schwarzenegger made the headlines when they announced their engagement after just several months of dating. Fans and friends have already sent their best wishes to the lovebirds. However, the only thing remained unclear till now – what did Katherine’s father, Arnold Schwarzenegger, say about such a whirlwind engagement? That was really fantastic. She is so happy, they both are so happy. As I said to him, he is such a likable guy. I love Chris — he’s fantastic. 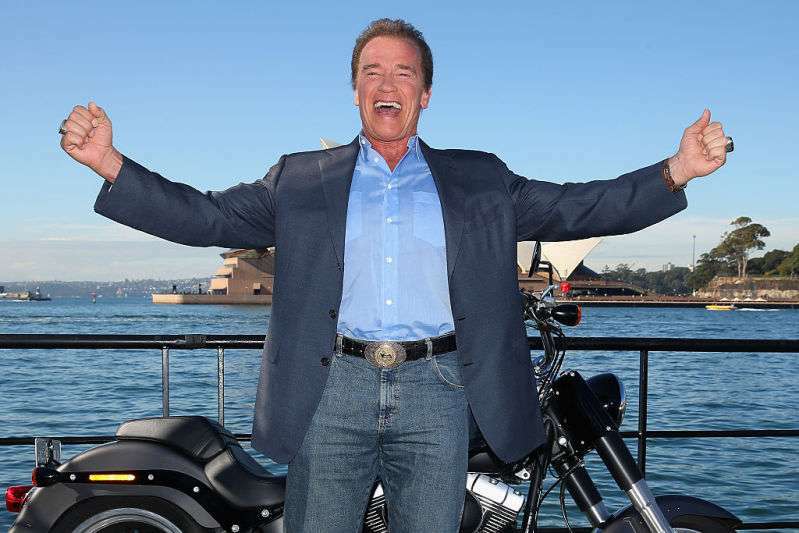 Geez, we are so happy that Arnold gave his blessing to the future newlyweds. Agree that no one would dare to argue with the ‘Terminator’. Chris and Katherine announced their engagement in January by sharing a lovely picture of them together on Instagram. Kate showed off her gorgeous engagement ring. Our warmest wishes to the bride and the groom-to-be! May their love get stronger every single day!